I wrote the new book, ANGRY WHITE MALE. But heres the huge difference between liberals and conservatives. My anger is never directed at America – the greatest nation in world history. Or our flag. Or our national anthem. I love this country with all my heart. I’m only angry at the reckless liberal leaders destroying my country. 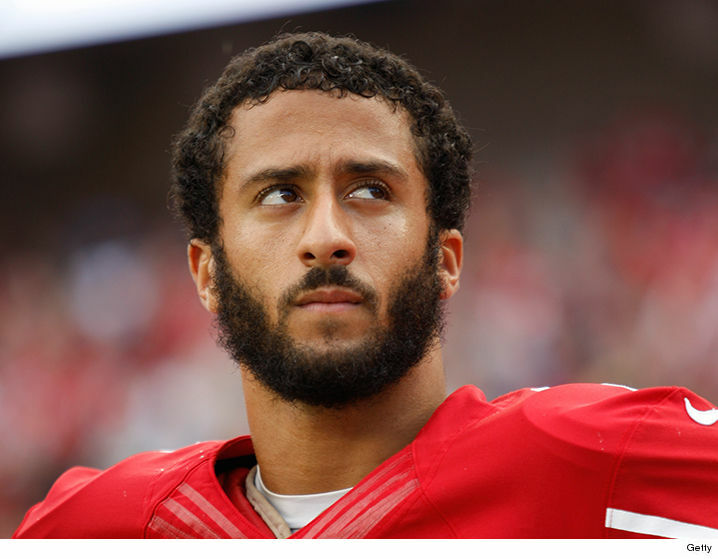 San Francisco 49ers quarterback Colin Kaepernick is angry too. But he directs his anger at America itself. He literally burns with rage against his own country. Kaepernick is Exhibit A for the dumbing down of America. The kid is young, dumb and filled with…ignorance. He is a tragic example of the liberal biased, hateful “blame America first” propaganda taught to America’s young people at schools and universities. 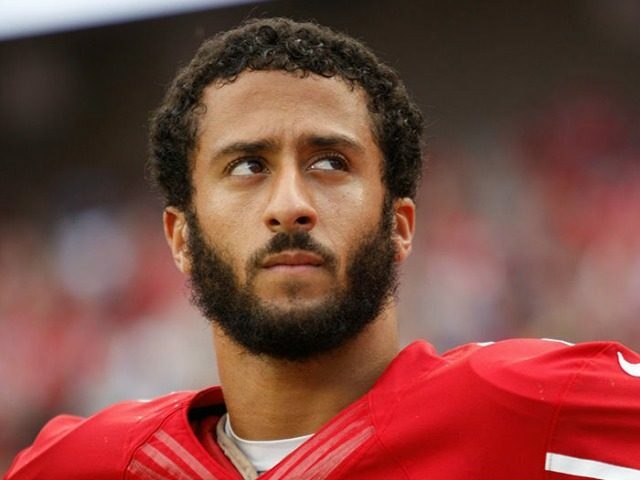 This very kid who disrespects the flag and dishonors the national anthem…is get this…bitter towards a country that gave him a $114 million contract, with $60 million guaranteed, $12 million in cash-up-front signing bonus and an average salary of $19 million per year. I’m sorry, but give me a minute. I have to laugh out loud before continuing. In Kaepernick’s mind black people are “oppressed” in America. Yet he was given the one in a million life few in history have ever gotten in America…and the rags to riches life that almost no one ever gets anywhere else in the world. Kaepernick was given “the keys to the kingdom” that no middle class white kid I’ve ever met, has ever gotten. Kaepernick’s demanding “people of color” be treated better. How much better? Like a $115 million contract, instead of his minuscule $114 million contract? Maybe Kaepernick should try working a real job in the real world. I’ll work my whole life and never make anything close to what he’s being paid for five years tossing around a football. Where’s my “white privilege”? I’m still waiting. More important than what you know, is to know what you don’t know. Throwing around a football with God-given skills and size doesn’t make you a brain surgeon, or a political know-it-all with the answers to solve the world’s problems. Colin should stick to football. Although it’s questionable whether he actually knows football that well either. Because it appears his $114 million contract was a colossal mistake by the 49ers – an overreaction to a good start to Kaepernick’s career. Colin is now a backup quarterback. Meaning he won’t even get into games. He’ll hold a clipboard for the 49ers (if he isn’t cut to save the money) for $114 million. It appears this guy just plain got lucky and caught lightning in a bottle…once. Now he thinks he is Aristotle. But his ignorance and stupidity is just starting. Kaepernick is upset because a handful of black men have been shot by police. Meanwhile there are thousands of black Americans shot each year on the streets of Chicago. Just days ago, a staggering 110 Chicago citizens were shot in one week, with 24 killed. August is ending as the most violent month in Chicago in 20 years with 84 dead (so far). For the year to date 2,621 Chicago citizens have been shot, a 50% increase year over year. FIFTY PERCENT. The homicide rate of 487 is more than New York and Los Angeles combined. It’s on pace to reach over 700 murdered, a 63% increase year to year. Almost 3000 shot dead so far this year. In one city. Almost all shot by other blacks. Kaepernick says nothing. Thousands more black males have been shot and killed in other inner city neighborhoods across America by other blacks. Inner city neighborhoods are violent war zones. This is black on black genocide. Kaepernick says nothing. Ninety-six percent of all black murders in America are committed by other blacks. Kaepernick says nothing. And if that’s not bad enough for you, there is a shocking epidemic of heroin overdoses in black inner cities. Black Americans are either killing each other, or killing themselves in record numbers. But we see no protests from Kaepernick. How is any of that America’s fault? How is this the fault of white people? Or Donald Trump? Or the American flag? Or the national anthem? Does Kaepernick understand personal responsibility? More importantly, what has Colin contributed out of his $114 million to black America? To stopping black on black violence? To improving black education? To fixing black inner cities? I’m betting very little. I’m betting he’s as generous with his money in charitable giving as Hillary’s Clinton Foundation- which takes in hundreds of millions, but gives almost nothing to charity- while she complains our government isn’t spending enough. Kaepernick showcases a perfect storm of arrogance, ignorance and stupidity. Lastly, I’m betting Kaepernick has never traveled around the globe. He’s never seen what else is out there. Maybe it’s time he did. Have you seen South Africa, Colin? Because I’ve spent significant time there. The President is black. So are 100% of the politicians and government officials. Yet I witnessed the most horrendous and brutal poverty of my life. Blacks in South Africa live like subhumans- with no running water or electricity. It’s a disgrace. The slums of South Africa make poverty-stricken black inner cities in America look like Beverly Hills. That’s with blacks running every level of government. So you see this has nothing to do with America, or oppression by white leaders. Black poverty is far worse in socialist countries and countries run by black leaders in Africa. America is the only place where whites fought a war and died to give freedom to blacks. America is the only place where blacks have the opportunity to rise out of poverty. America is the only place where young black man can make $114 million. If you don’t like America and the amazing opportunities it provided you Colin…try Africa…try Venezuela…or try Russia. Let’s see how Putin treats a young abandoned black kid. Better yet, try Cuba. Let’s see how the Castro Brothers of Cuba treat a complainer who refuses to honor the Cuban national anthem. I’d venture a guess it won’t be with $114 million contract. More likely it would result in a lifetime of torture in prison. Only in America can Colin Kaepernick speak out against his own country. Thank God for America. I’m sad to say this is just another tragic example of the dumbing down of America. And this kid is so dumb, he‘s setting records that may never be broken.